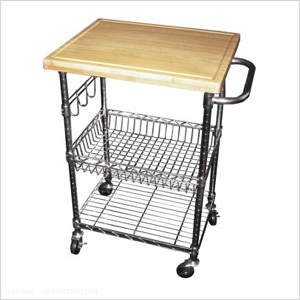 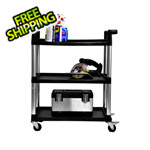 Trinity's EcoStorage™ Bamboo Kitchen Cart is a blend of form and function. 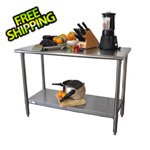 The large 100% solid bamboo cutting board can be used both on the cart or on your countertops. 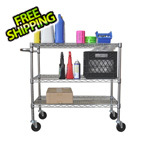 Shelves and basket are adjustable in 1" increments for your own custom configuration.